Beck has been busy! Last week he launched Record Club, where he and a bunch of celebrity friends gather at his place and record covers. 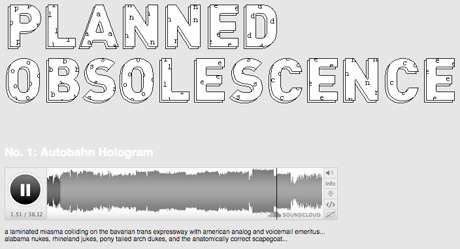 This week, he released a DJ Mix called Planned Obsolescence which is available for free streaming! I’ve been listening to it to the past hour or so and it’s pretty funky. Kind of reminiscent of Brainfreeze (which is in no way a dig) — but with Beck at the wheel instead of DJ Shadow and Cut Chemist. Love him or hate him, Jimmy Fallon picked an amazing back-up band. It remains unclear to me how someone talked The Roots into being a house band for Fallon (a regular paycheck? ), but these guys are certainly not slouching riding a slow train to retirement. Thanks for the tip, stereogum. I’m a little sad today. I tried to buy a copy of the new Dirty Projectors album that I’ve been blabbing about for a few months now, and couldn’t get my hands on a copy. Partly because the record store I like forgot to order it (I’d mention their name but I’d prefer not to give them any love at the moment). So fine. It’s New York City. I thought it’d be pretty easy to find another shop with a copy. Partly because the 3 remaining shops around Christopher Street mostly seem to cater to vinyl lovers. Partly because most of the other stores that would’ve carried the record are now gone. There used to be about 12 of them in that area (and there are still 10 on Google maps) but their numbers seem to have dwindled to about 3. It remains a question, in my mind at least, as to why this happened. Was it the economy? Was it the mega-stores (in which case, thank you Tower and Circuit City for driving these places out of business and then closing yourself)? Or is it that selling CDs in a digital distribution age is a losing proposition (I feel like I’ve actually heard other people musing over this last one recently, but I can’t remember where)? I certainly can’t say for sure, but the net result is that I didn’t get a copy of the CD I went out of my way to try to purchase today. Sad for me. And I guess for all of us. Because I’m now going to help perpetuate the problem by either buying online or getting it from one of the remaining annoying mega-outlet stores. Assuming they carry it. Which is probably about 50/50. I guess I’m not saying anything profound today. Just noticing that this might be a dying industry, and that I’ll miss it when it’s gone. Bitte Orca: Oh yeah. It’s good. 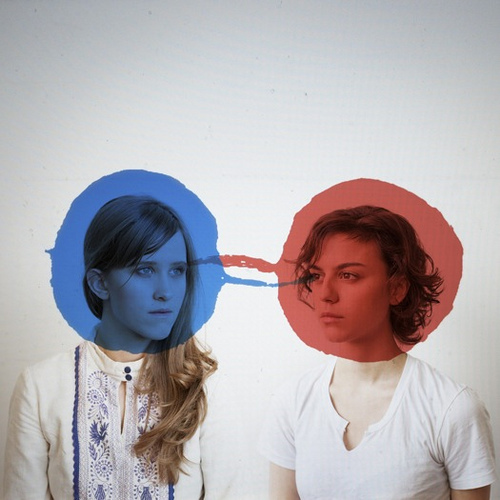 Dirty Projectors’ new album Bitte Orca comes out next week! And thanks to NPR, you can get a first listen to the whole album HERE. You know I like these guys. I’ve blogged about them before. And I’ve definitely been waiting for this new album to come out (since I was not one of the lucky ones to get my hands on a leaked copy). I definitely dig it. It has a sound unlike anything I’ve heard. Man… that Amos Barshad is good! Thanks Vulture!